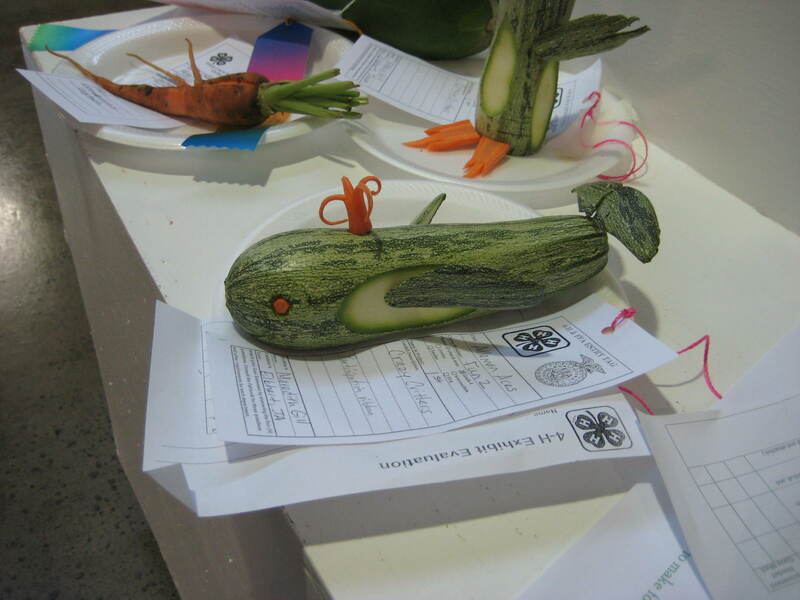 I’m sharing photos of more Polk County Fair impressiveness. I am truly blown away by much of the work I saw two weeks ago. 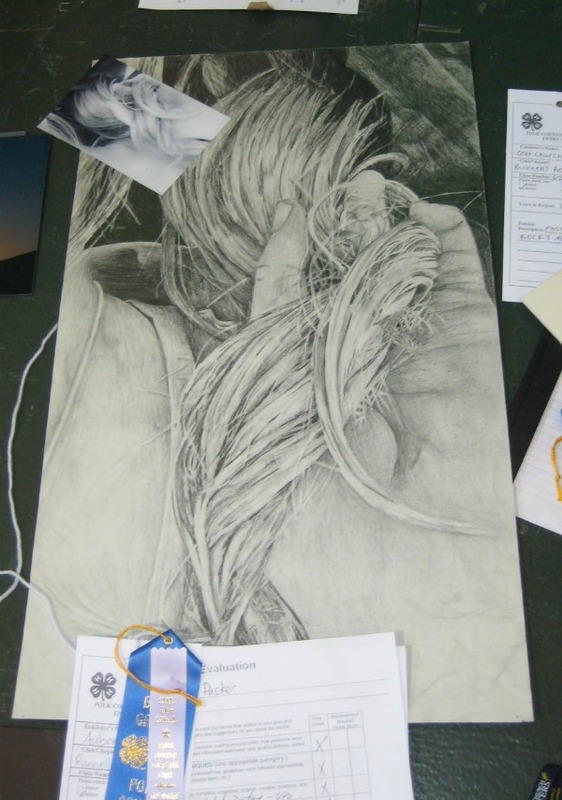 All of these works were completed by kids in grades 4 – 12. You might see multicolored (4th grade participation) and blue, red, and white ribbons along with small ribbons of various coloring. When you see a small ribbon, that means the project was considered for promotion to the State Fair. (Polk is just one of 99 counties in Iowa.) You might also see folders and papers behind the works. That’s because all 4-H projects are judged on their write-ups and performance. See the photo in the corner? Speechless, aren't you? Have you ever read the book "Baby Food?" 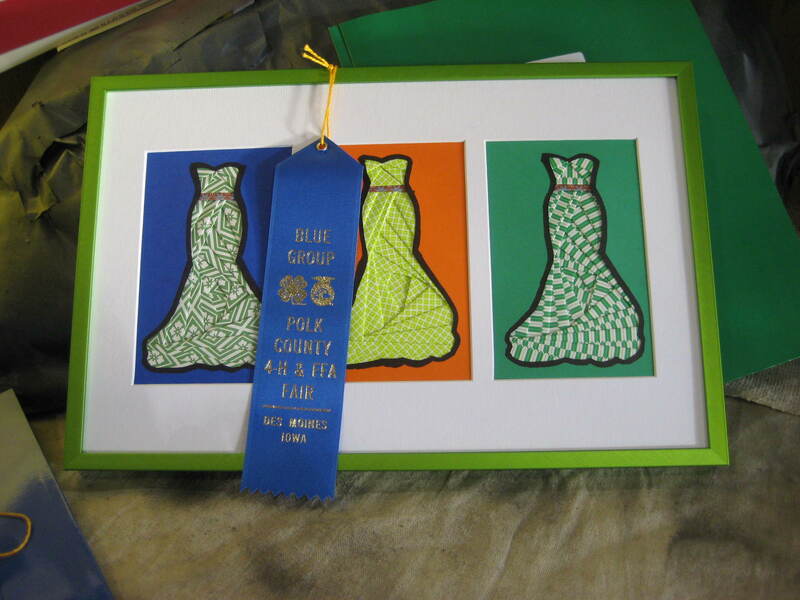 This entry was posted in crafting and tagged Polk County Fair. Bookmark the permalink.